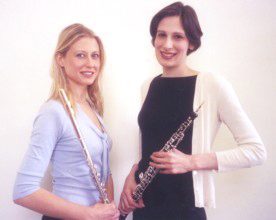 Ensemble Suavis was founded in 2004 by flautist Amanda Moore and oboist Julia White, and is a versatile, professional group of musicians providing beautifully played music to enhance any occasion. From a duo through to a large ensemble, the size of group may be provided according to your needs. All members of the group are experienced musicians and performers. Venues in which the group has recently played include the Orangery Gallery, Holland Park and the Old Royal Naval College, Greenwich. The group has given collaborative performances in many London museums and art galleries including Tate Britain, the Foundling Museum and the Geffrye Museum, where repertoire has been tailored to complement the occasion and location. Music may be carefully chosen in conjunction with the client, whether for wedding, dinner, corporate event or other occasion, and a sample recording and repertoire list are available. We play a wide range of music including classical, folk melodies, jazz-inspired music, popular songs and film/tv themes. Selections can be made within a particular style or we can provide something for everyone – just let us know your requirements. 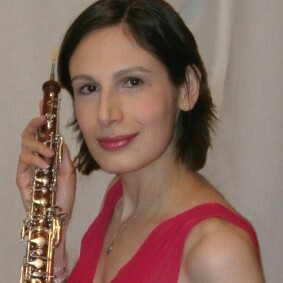 Amanda Moore read music at the University of Southampton and studied flute at Trinity College of Music, gaining Postgraduate and Advanced Postgraduate Diplomas. Since completing her studies she has performed regularly as a solo, chamber, and orchestral musician at venues in and around London, and in 2005 undertook a three-month residency at the Banff Arts Centre in Canada. Julia White (oboe) was TCL Junior Fellow at Trinity College of Music 2006-7. She gained her Postgraduate Advanced Diploma with distinction and the Wilfred Hambleton Chamber Music Prize in 2005. In addition to solo and chamber performances she is a regular orchestral player, playing with orchestras at international music festivals in France, Italy, Slovenia and the UK, as well as appearing as guest solo cor anglais with Santiago Philharmonic, Chile.